Republican David Whitley faces questions from Democrats about how he handled an attempt to review the citizenship of 95,000 registered Texas voters. Texas Secretary of State David Whitley could face a tough path to Senate confirmation because of questions about how he handled a voter citizenship review. Image via Gov. Greg Abbott's Twitter account. The governor’s appointments for secretary of state typically sail through the Texas Senate. But against the backdrop of a flawed voter citizenship check that risked the votes of tens of thousands of naturalized citizens, Gov. Greg Abbott’s latest pick finds himself in need of Democratic support. And the minority party’s doubts about — if not outright opposition to — his confirmation are growing. A longtime Abbott aide appointed to the post in December, David Whitley is set to face the Senate Nominations Committee on Thursday after almost two weeks of intense scrutiny of his decision to question the citizenship status of almost 100,000 voters using flawed data that seemingly singled out naturalized citizens for review. He’s since been named as a defendant in three lawsuits alleging the review was unconstitutional and violated federal safeguards for voters of color, who are more likely to support Democrats. And he’s facing questions from Democratic lawmakers about why he handed that list of voters to the attorney general’s office for possible prosecution even before the names were reviewed by local elections officials. Although Republicans hold 19 seats in the 31-seat upper chamber and can largely consider legislation without the say of any Democrat, Whitley needs a two-thirds vote among the senators present when the full Senate votes on his nomination. That means even with the votes of all of the Republicans, he’ll need at least some Democratic support unless several senators are gone the day of the vote. Watson described Thursday’s hearing as a “very important step” in the confirmation process. It will allow senators to question Whitley about a review of the voter rolls “that has caused great concern — justifiable concern — about whether it’s an effort to infringe on people’s right to vote," Watson said. Whitley knows the appointments process well. 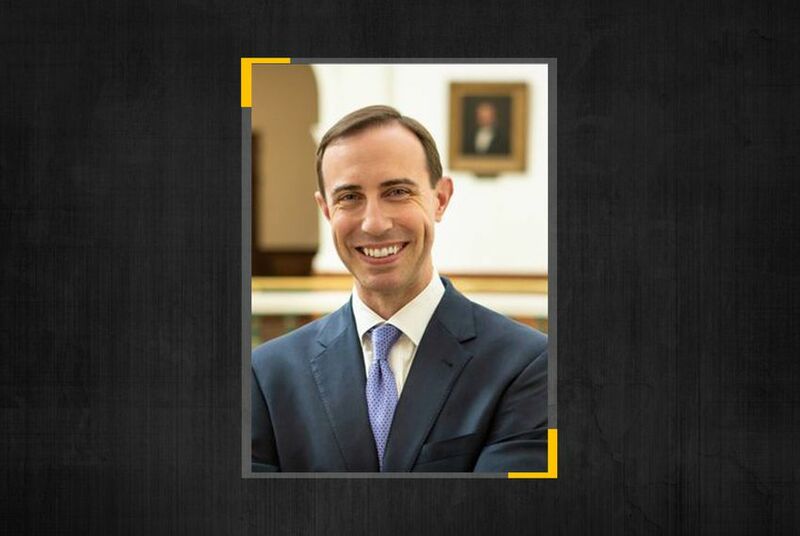 Although he most recently served as Abbott’s deputy chief of staff, he previously oversaw appointments for the governor, remaining in that role during the confirmation of former Secretary of State Rolando Pablos. Like Abbott’s first secretary of state, Carlos Cascos, Pablos was confirmed on a unanimous vote by the Senate. Whitley’s office said it had compiled its list of 95,000 voters flagged for citizenship review by matching voter registration records with data kept by the Department of Public Safety on Texans who indicated they were not U.S. citizens when they obtained a driver’s license or ID card. But the list didn’t account for people who had become naturalized citizens after obtaining those IDs and subsequently registered to vote. Within days, secretary of state staffers were calling counties to inform officials they had erroneously flagged people who had registered to vote at DPS offices and had already proved they were citizens. Once local election officials scrubbed their lists to remove those voters, the state’s initial count shrank by more than 20,000. The count has continued to fall in the last week as officials have identified individuals on the lists as naturalized citizens. Some citizens who were flagged have publicly confirmed that they became naturalized after obtaining their driver’s licenses. Republicans have been mostly silent on the citizenship review effort since it unraveled, but Abbott downplayed concerns last week about inaccuracy in the data and attempted to recast the whole process as a work in progress. But House Democrats have been loudly critical of Whitley’s decision-making, with members of the Mexican American Legislative Caucus saying they were willing to push for his resignation if they found proof that the voter citizenship check had been coordinated for political purposes. Now, they’re looking to their colleagues in the Senate, who have been more measured in their reactions but say they’ll demand answers from Whitley. On Tuesday, state Sen. Carol Alvarado, D-Houston, said she talked with local officials in her home county of Harris, where the list of almost 30,000 voters initially flagged by the state dropped by about 60 percent after the county removed voters who were mistakenly included. The officials told her their list is down to about 11,500 and is likely to continue dropping as they identify naturalized citizens. Alvarado said she has questions about how “hastily” the secretary of state’s office released information about the list. Whitley’s office issued a press release Jan. 25 touting the 95,000 number and saying that it had shared the list with Republican Attorney General Ken Paxton, who has the ability to criminally prosecute voter fraud. The press release noted that 58,000 people on the list had voted since 1996. Some media outlets and top Republican officials, including President Donald Trump, then falsely claimed that 58,000 noncitizens had voted in Texas. It’s unclear whether Whitley will answer those questions. Citing the advice of lawyers and the pending litigation against his office, he’s declined to meet with a committee of the House’s Mexican American Legislative Caucus to discuss the matter. Taylor did not address questions about whether Whitley has enough support in the Senate to be confirmed. Rodriguez echoed state Rep. Chris Turner, the chair of the House Democratic Caucus, who responded to questions Tuesday about whether Whitley should resign by demanding that the secretary of state provide “real answers” about the errors on the state’s list, the “horrible guidance” given to counties and how he coordinated with the attorney general’s office. “If he can’t provide those answers to the Legislature and the public very quickly, then I don’t think he’s the best person for the office,” Turner said. “Texans need a strong and experienced leader in the secretary of state, and David’s many years of public service combined with his outstanding legal background make him the ideal choice for this important position,” Paxton said. Whitley wasn’t immediately confirmed, however, because the Legislature was not yet in session. The Texas Constitution indicates he would have to leave the secretary of state's office immediately if the Senate rejects his appointment. But Senate Democrats have stopped short of saying they’ll reject Whitley’s appointment, which must first clear the Republican-dominated nominations committee before the full Senate considers it. No date has been announced for either vote. Instead, Democrats have indicated they’re going to take advantage of being able to question him at a public hearing and scope out if there’s support for his confirmation after they get some answers.